Are you thinking about moving to Richmond? 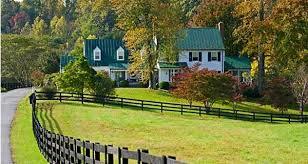 The right Virginia realtor can show you around and help you make the best possible choice. There’s definitely no shortage of new homes in Virginia to choose from either. However, if you’re the type of person who likes to get out and enjoy creature comforts, you may not think somewhere like Richmond will be a good match. After all, isn’t Virginia nothing but woods and mountains? The answer, fortunately, is no. Millie’s Diner is a great example of the trendy restaurants you can find in Richmond. Though it looks like a run-of-the-mill diner, the unique wines and seasonal fare are anything but ordinary. Black Sheep is also an extremely trendy choice. Like Millie’s Diner, the décor is amazing. It’s based out of a former house and serves vegetarian cuisine mixed with Southern charm. You might not expect Caribbean food from a restaurant in Richmond, but Kuba Kuba will change your mind. For an amazing beer and some really great food, all in a casual setting, this eatery is definitely worth your time. Everyone loves seafood and Richmond won’t disappoint in this regard. Croakers Spot, isn’t just any kind of seafood though. It’s got a soul food flare to it, so you’ll get a great piece of cornbread with your crab. Richmond is full of trendy restaurants you’ll absolutely love. The handful above are just some of the many you can choose from. Would you like to relocate to Richmond? If so, The Steele Group Sotheby’s International Realty can show you all kinds of homes for sale in Richmond, Virginia.